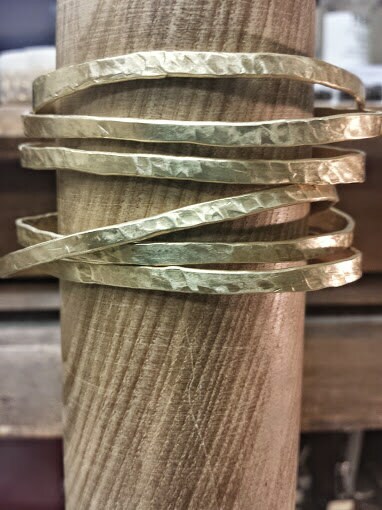 Hammered Brass Cuff Bracelet. 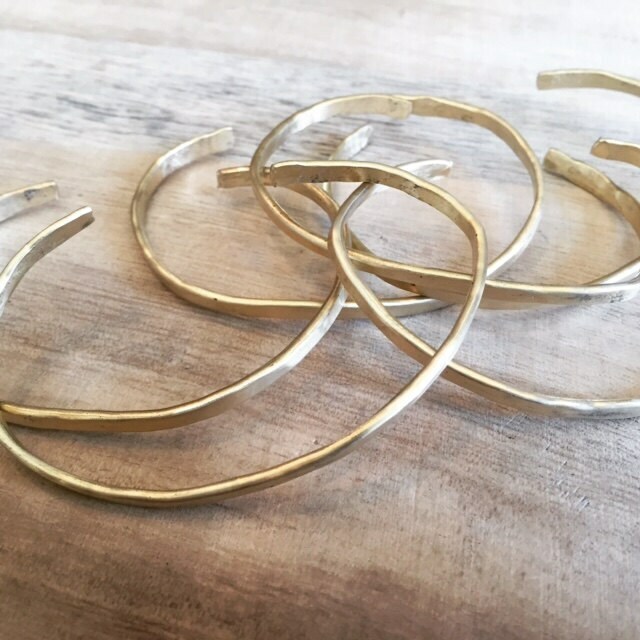 These bracelets look great alone or layered with other bracelets. 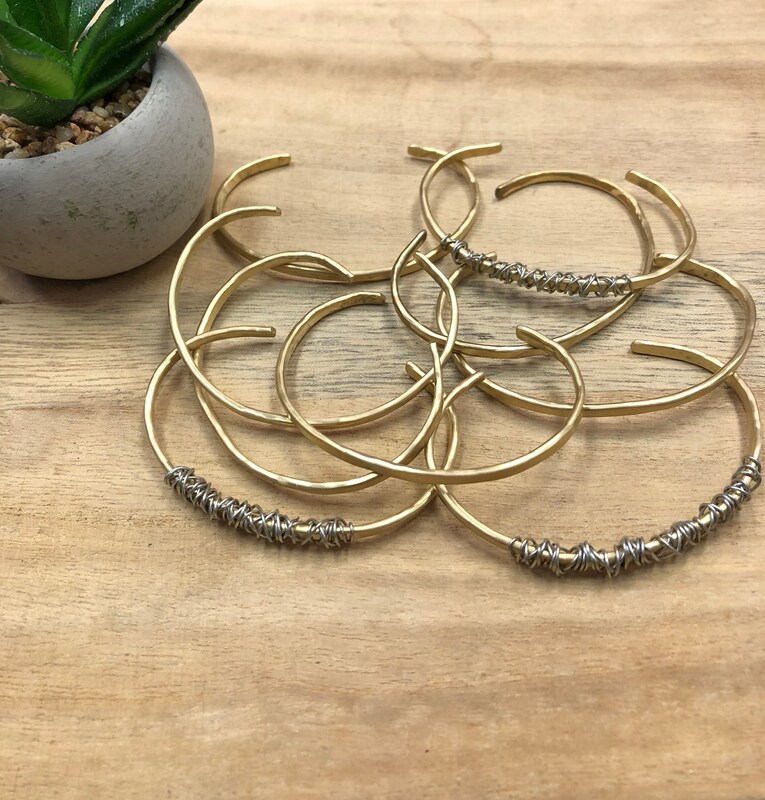 Choose from plain or wire wrapped for a mixed metal look.